Highly dangerous vampire who used to be death row prisoners. A U.S. Government experiment could not have gone more wrong. There is one girl, an orphan, who might be able to fix things. A post-apocalyptic show about vampires, good stuff. The is currently Airing on Fox, since January 14, 2019. And we will have to wait about where we can stream it besides via Amazon Prime. Most streaming sources are currently incorrect, mixing it up with the 2018 comedy show The Passage. 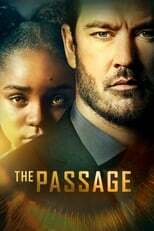 Where can you stream The Passage? On 2019-01-14 Action & Adventure/Drama TV Series The Passage first aired on FOX. Written and created by Marcos Siega, and produced by 20th Century Fox Television & 6th & Idaho Productions, The Passage will return and was last broadcasted on 2019-03-11.